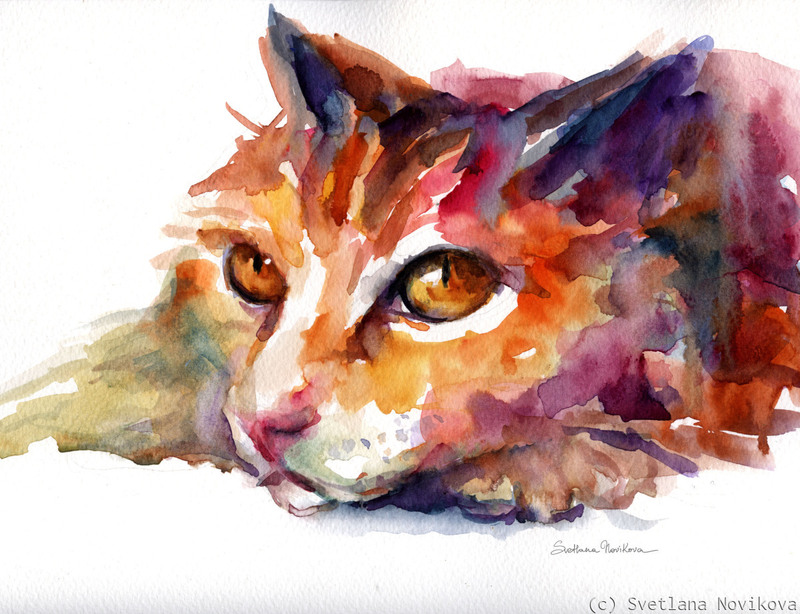 Vibrant Orange Tubby cat watercolor painting by Svetlana Novikova, all rights reserved. Original available (it's currently framed behind glass - optional, higher shipping fee will apply if shipped framed). I am accepting custom Pet commissions from your favorite photos. 5" x 6.5"8" x 10.5"11" x 14.25"14" x 18.25"17" x 22.25"22" x 28.5"